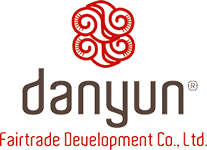 The T-project “Tastes of Yunnan” was initiated in 2007 as a partnership with Xing Jian Pu’er Tea Development Company (XJTD). The farmers in the T-project live in Menglian County, an area which is 98% mountains. Where 100,000 people support their lives by primarily growing coffee, rice, rubber, sugarcane and tea. The T-project is being developed between 21 natural villages. A majority of the people living in the villages were earning less than US$ 1 per day when the project started. In 2009 a Farmers Association was established in the tea area. Farmers were democratic voted into the board as representatives for the farmer association. The purpose of the farmer association is to protect the legitimate rights and interests of the farmers and to manage the Fair Trade premium and ensure this premium is used on the development of the tea farmer community, help tea farmers to generate much more income. The farmer association is the first of its kind established in the area. As mainland China´s first Worlds Fair Trade certified company, our mission is to assist rural families in raising their standard of living. At the same time it benefits you, the customer by presenting a tea of surpassing quality, nutrition and taste. 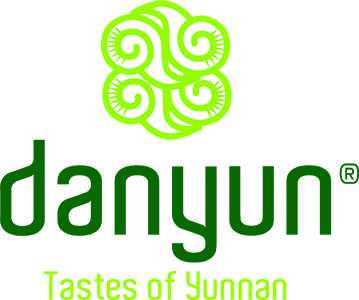 Taste of Yunnan T-project is a member of the World Fair Trade Organizaton (WFTO) and the teas are certified through the Sustainable Fair Trade Management System (SFTMS) under the WFTO. The price for tea is determined in consultation with the farmers association, and compared with local prices and the Fair Trade payment system to ensure that the farmers are getting a fair payment for tea. Danyun ensures consistent quality, creates new products and markets the products worldwide. The farmers are arranged into production areas, with a production unit who buys their tea and do the initial processing of the tea. The leaders, workers and representatives of the farmer association meets with Danyun’s staff for special training that they can pass on to their group on a quarterly basis.